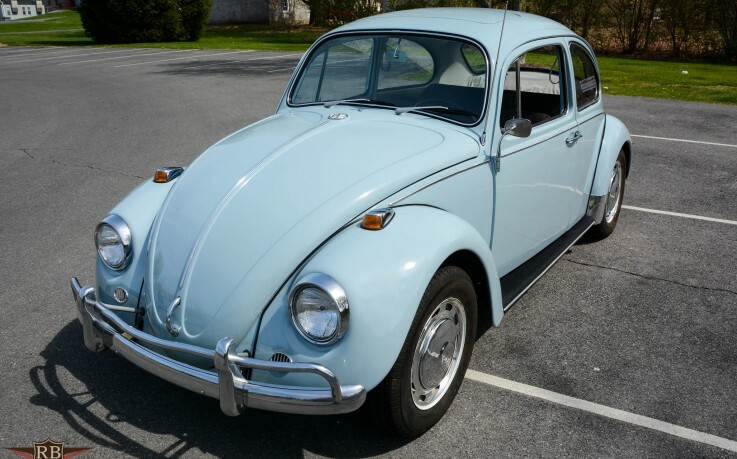 Fresh to the market here at 1967beetle.com; we have a very nice L639 Zenith Blue ’67 Beetle Sunroof for sale. The seller has included a lot of good information. 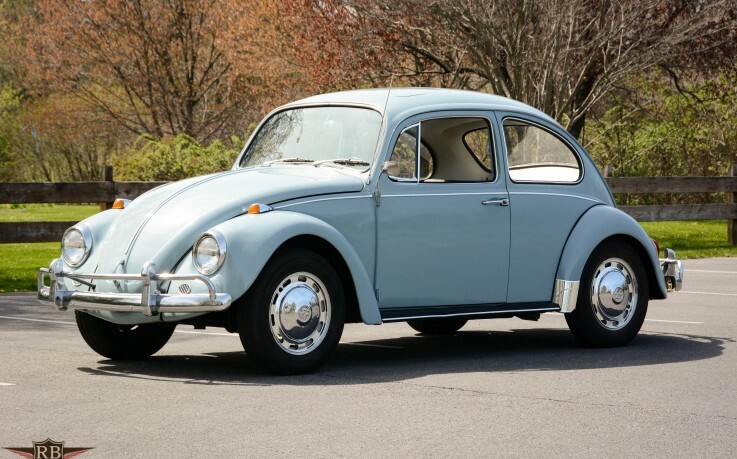 I love seeing ’67 Beetles that are mostly correct. As you know, many of the one year only parts are very hard to find. I know from my own restoration that it took well over 10 years to find them all. 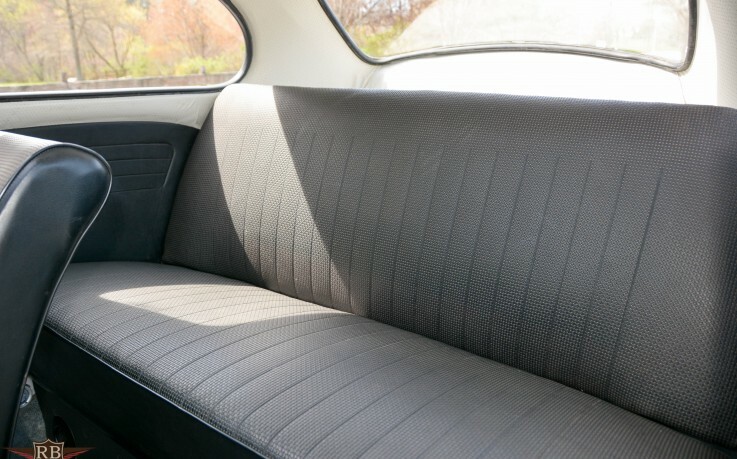 Did I mention that this ’67 Beetle is a sunroof?! 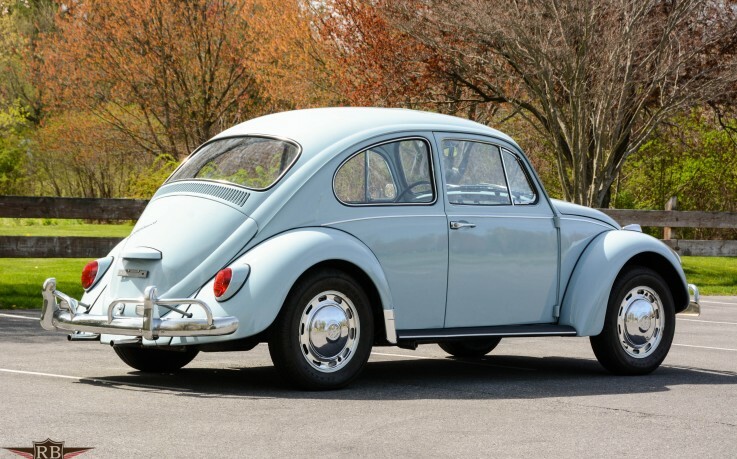 The ubiquitous Volkswagen Beetle hardly needs an introduction. 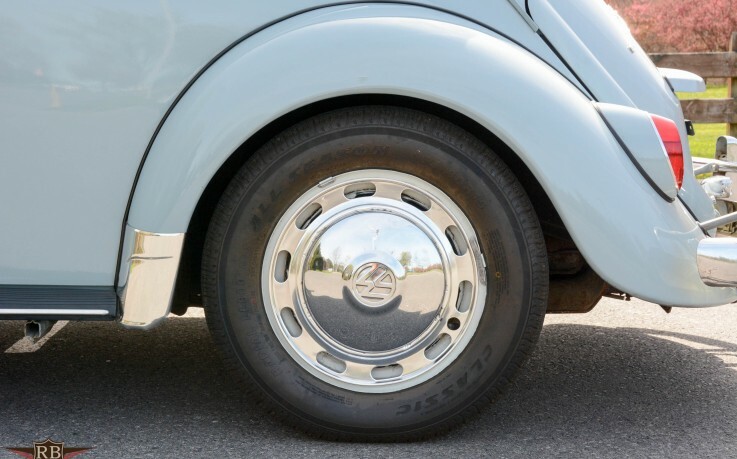 With over twenty-one million built over a span of 65 years, the Beetle has charmed its way into cultures the world over. 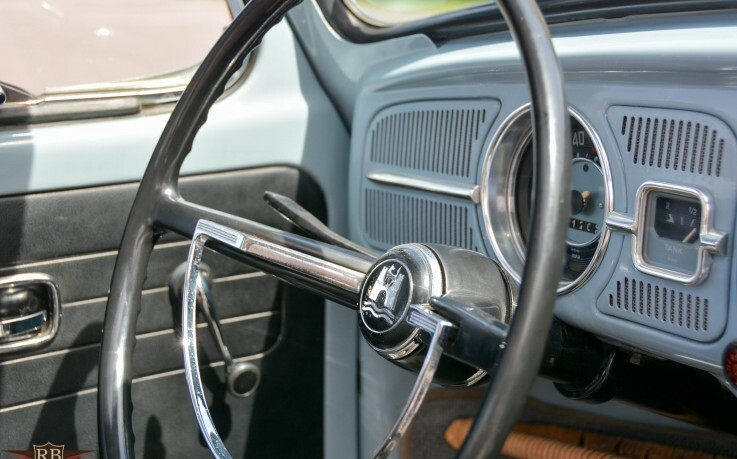 From its beginnings as a German peoples car in the late 1930s to the Brazilian and Mexican built taxicabs of the 2000s, VWs most iconic car went through a myriad of changes though the shape remained as familiar as ever. 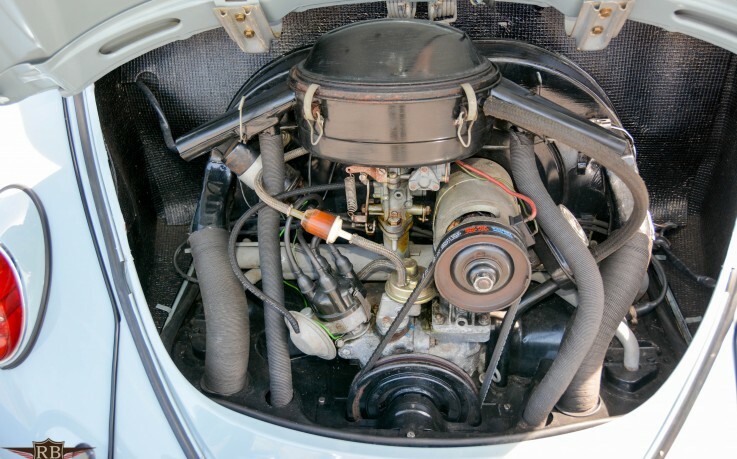 In the 1960s, a series of refinements were made to improve performance, handling, and safety. Most notably perhaps was the increase in size of the windows all around. 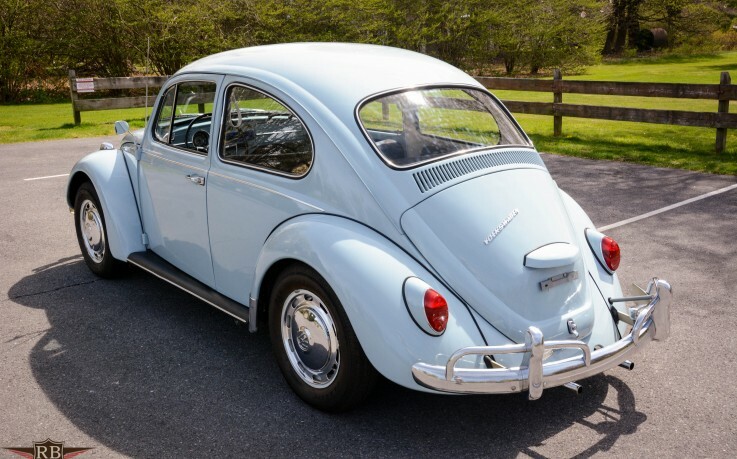 Engines grew from 1200 to 1500 cc and now put out 54 horsepower, which is plenty to get this little bug up to 60mph with ease. Another big change came in the form of a 12V electrical system which was more reliable and powerful, much better suited to every day driving. 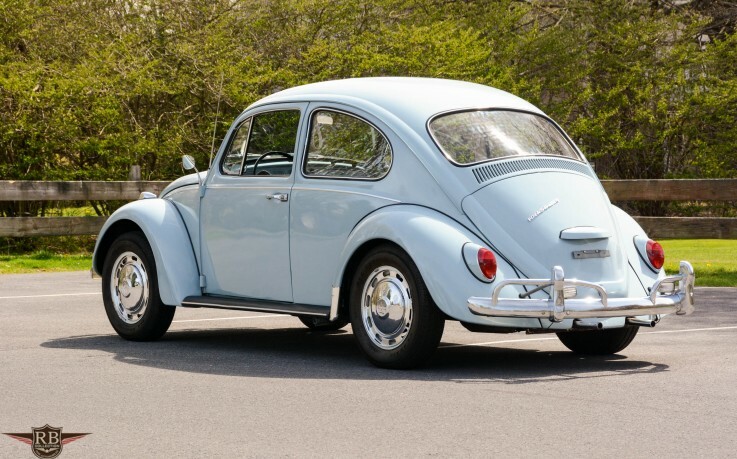 The 1967 Beetle is an interesting car, in that considering all of the years the Beetle was in production, many parts on the 67 are one-year-only, making them an interesting novelty among VW enthusiasts. 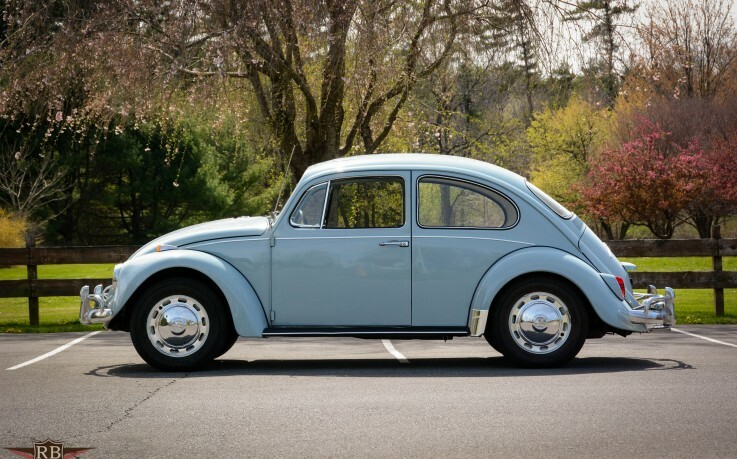 RB Collection is very pleased to offer this charming and delightful 1967 VW Beetle Sunroof coupe. 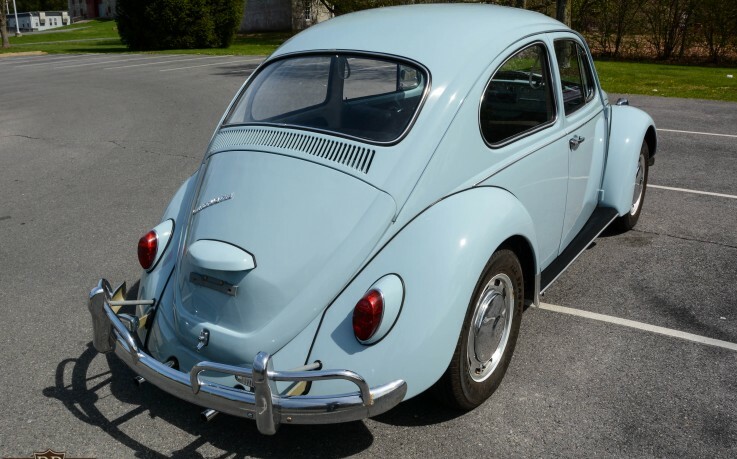 This is a very well-kept car that does not appear to have been fully restored, rather it has been well maintained, with some light restoration work done as-necessary. 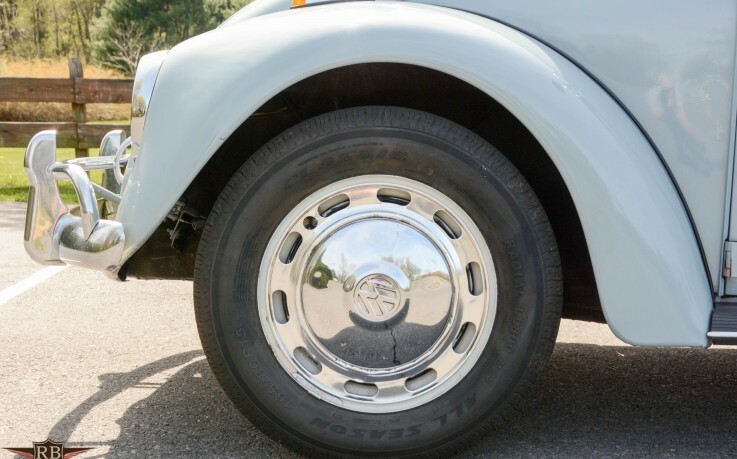 The body is very solid, with excellent floors, fenders and running boards. 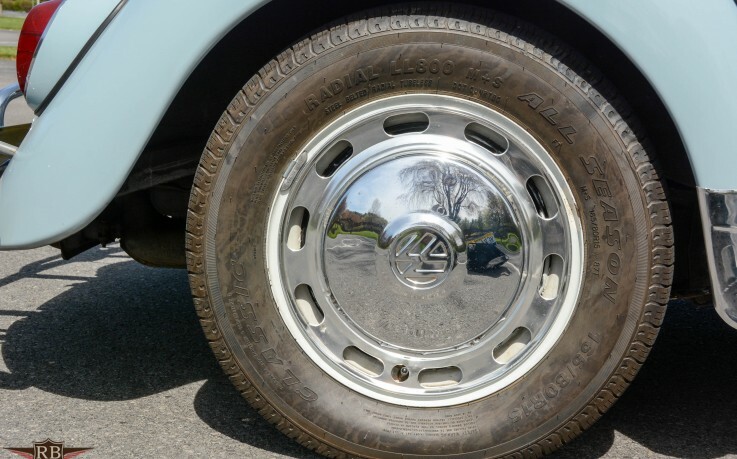 The paint, Zenith Blue, is in good condition, showing a few flaws and imperfections that are consistent with a well-loved original car. 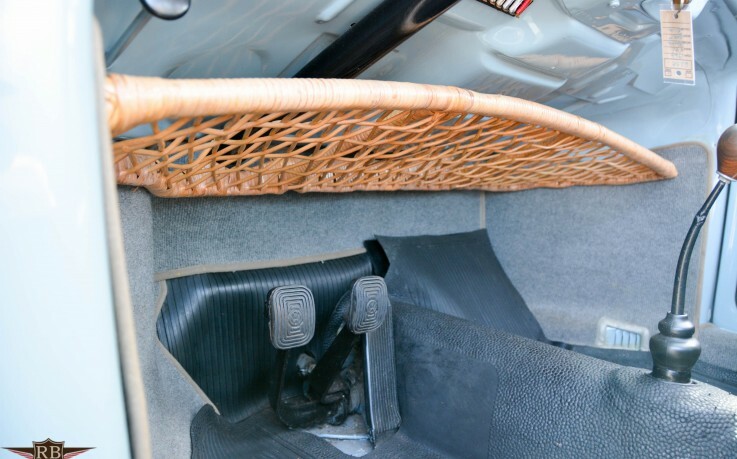 The exterior trim is similarly good with a couple of minor flaws in the alloy trim and the bumpers, while straight and complete show a bit of peeling at the joints of the overrider bars. 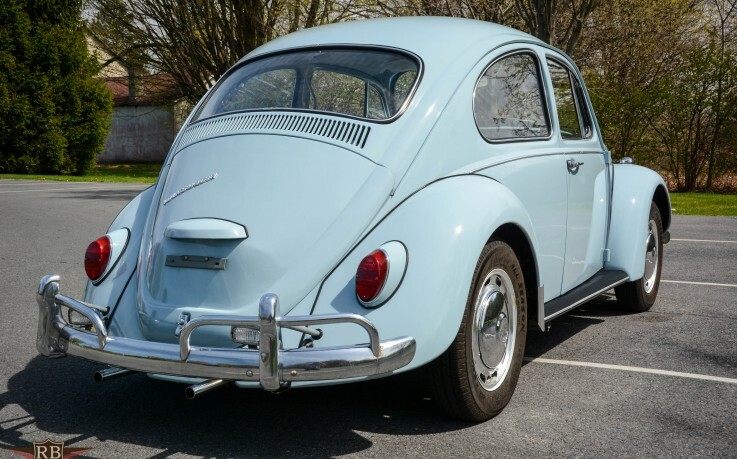 Again, these flaws are nothing alarming and do nothing to detract from the charm of this wonderful car. 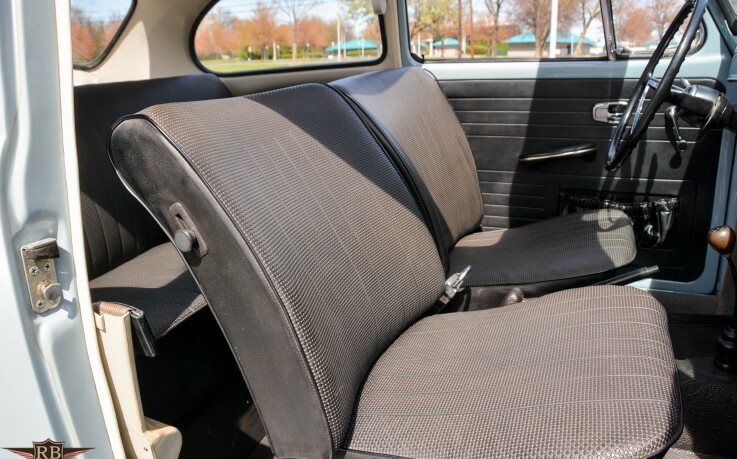 The interior is excellent with what appear to be original seats and door panels. 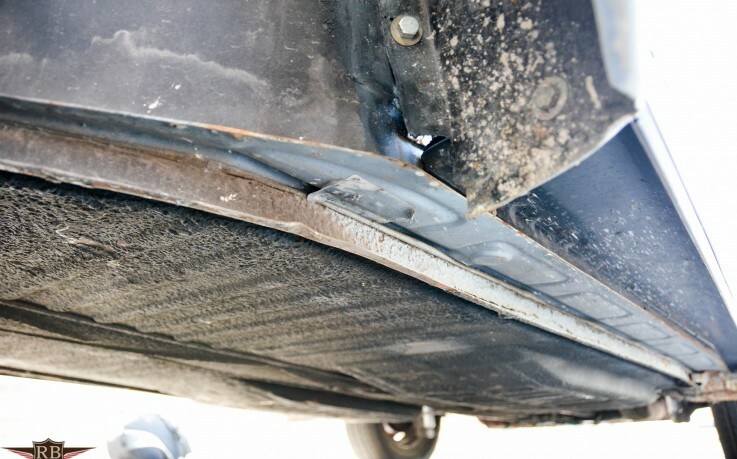 Receipts show the headliner was replaced some time ago, and oatmeal carpets line the footwells along with rubber mats. 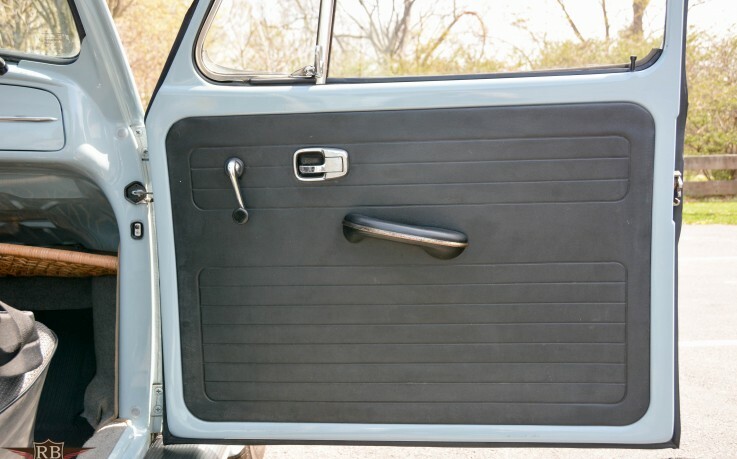 The sunroof works nicely and the doors shut beautifully with a solid feel. 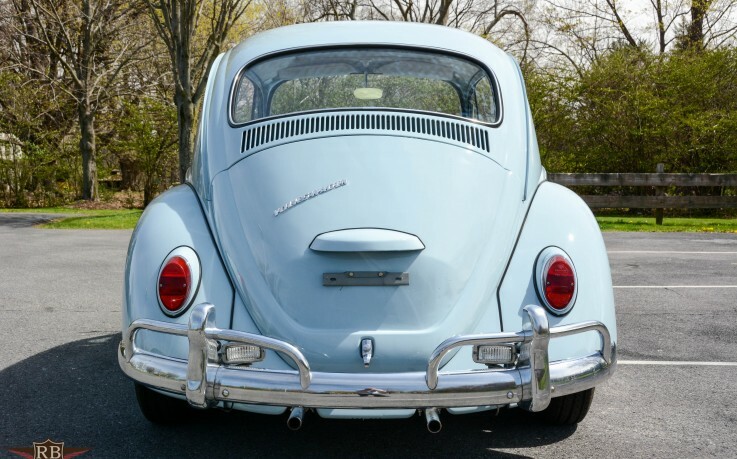 Without exaggeration, this is one of the nicest Beetles we have ever driven. 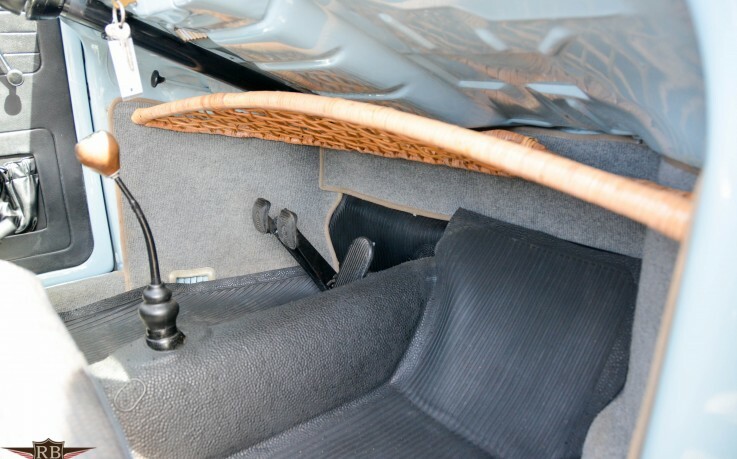 The engine starts right on the button, the clutch and transmission feel tight and precise, and the brakes are strong. 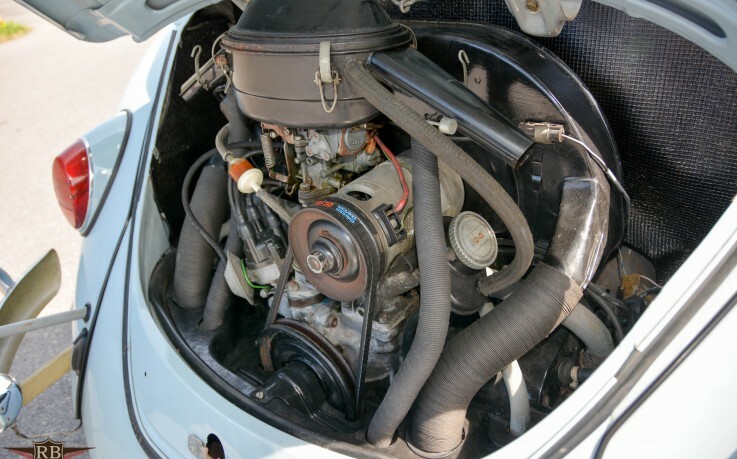 The 1500 engine has plenty of torque and pulls smoothly all the way through the rev range. 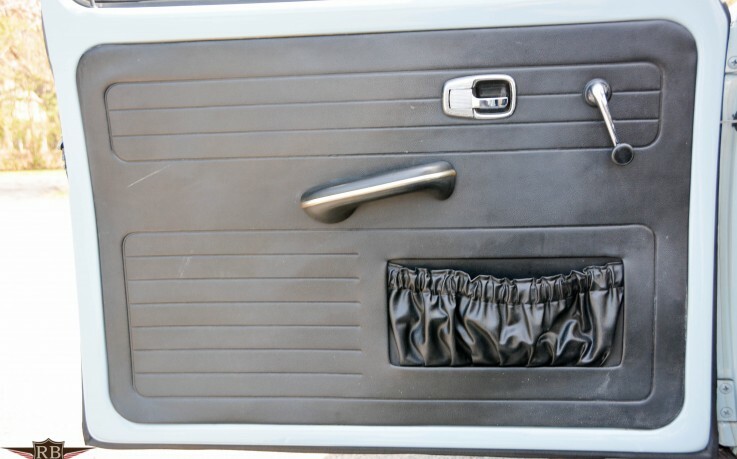 It is simply a delight on the road and guaranteed to put a smile on your face. 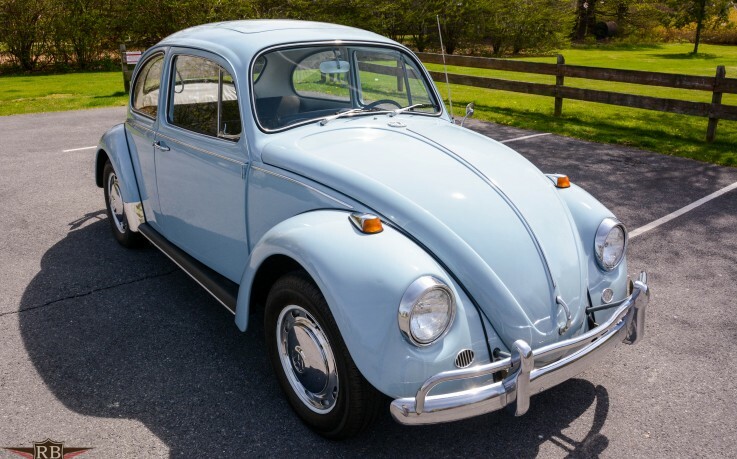 Ready for weekend fun, this 1967 VW Beetle is an excellent first time classic or would make a worthy addition to any stable where driving is a priority. The sale includes a few spare parts, two sets of keys, a fitted car cover and a period appropriate aluminum luggage rack. What do you guys think? 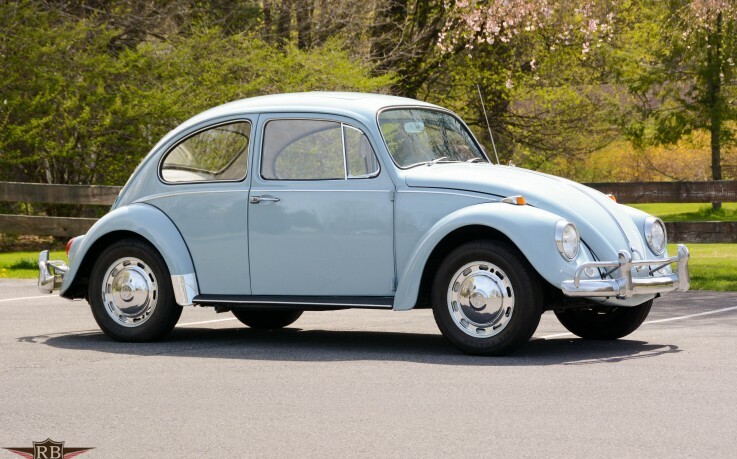 I’d be proud to own this ’67 Beetle. Zenith Blue is one of the best colors, in my opinion. Love the shift handle and the full tank of gas. Eric, give em the fuel filter location lecture. Funny guy! Yeah, I should. What do you think about the asking price? 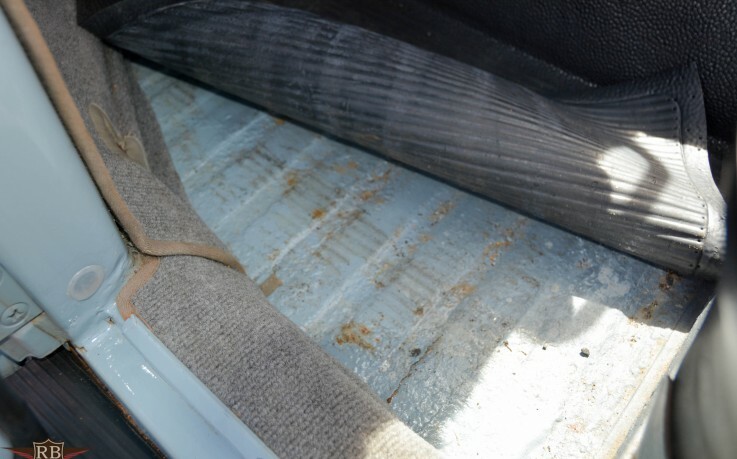 The asking price for a 67 sunroof in that kind of condition seems like a bargain to me. If I didn’t have one in the restoration shop getting done now, I would share consider this one . I was wondering about that price. I don’t see too many 67’s with a sunroof! 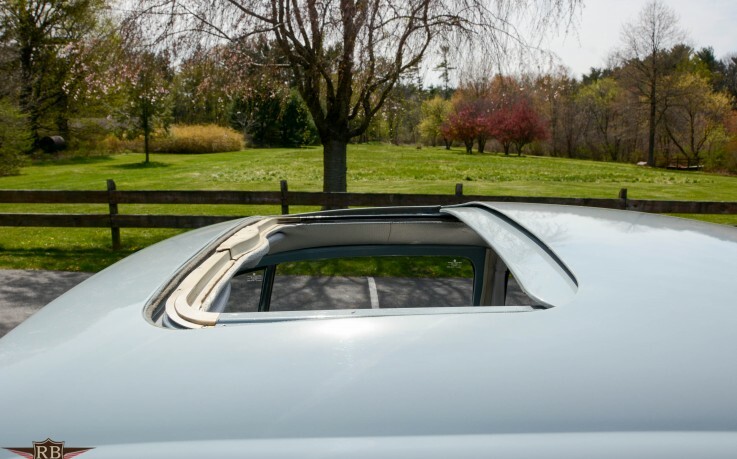 Yes, it’s another 67 Zenith Blue sunroof. Should be done in about a month. 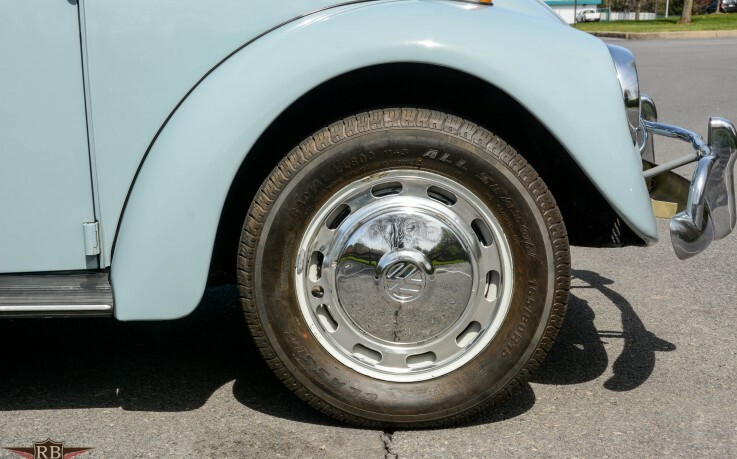 Let me know if you need any restored German parts. We have a bunch of ’67 stuff in stock. I’m sure I’ll need something. Price seems way out of line. 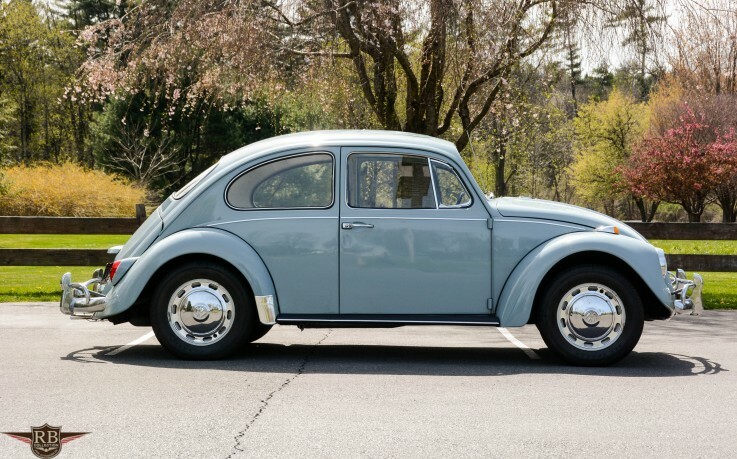 Pricing a good ’67 Beetle is like trying to buy property in Seattle … it’s whatever the buyer will pay. 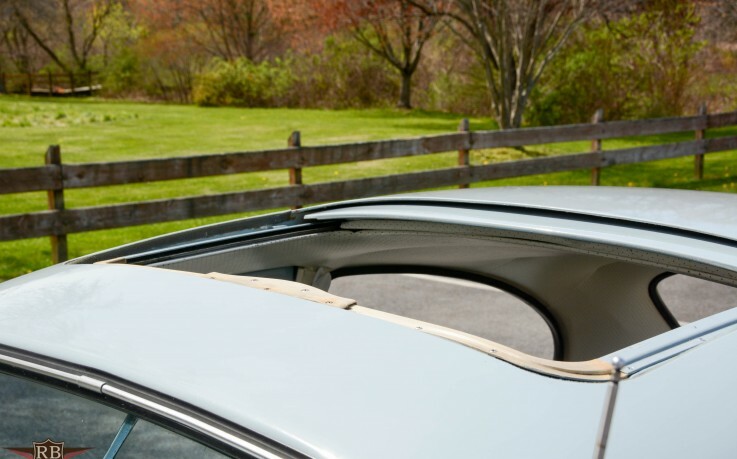 Sunroofs on my list are more scarce than convertibles. Tell us more on why you feel this way… ? I agree with Donna regarding the asking price. However, personally I would expect ALL the one year parts intact at this price range. Gorgeous for sure! Sign and Drive to the next show! @ Gavin. I also agree. It’s funny because, unless people really know about ’67 Beetle parts they might not even have a clue. I know I didn’t know at all when I got mine many years ago. 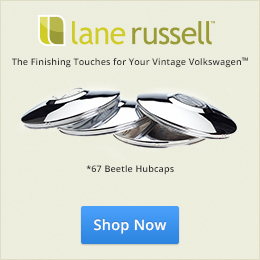 I suppose 1967beetle.com gets a tiny bit of credit for helping the world understand. These small details are so important. At least to me. It also just went up on eBay. I’m in agreement and often times laugh. 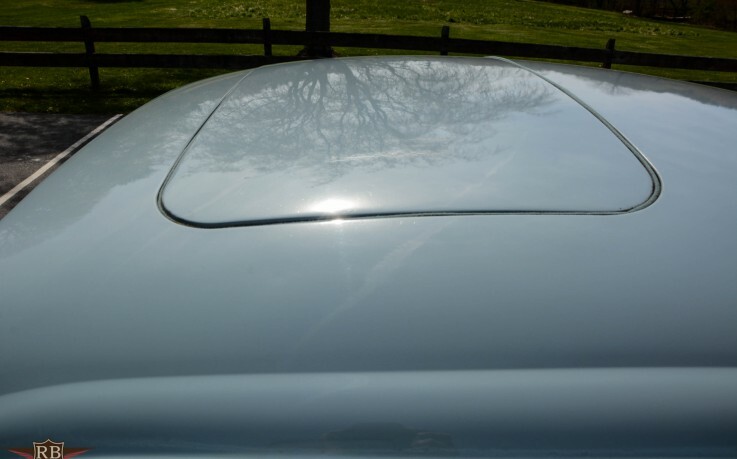 Take a ’67 Beetle sunroof and restore it. See what it cost. My thinking would be about double this price. That, and add to the fact that there are not as many sunroofs around. Just my thoughts. 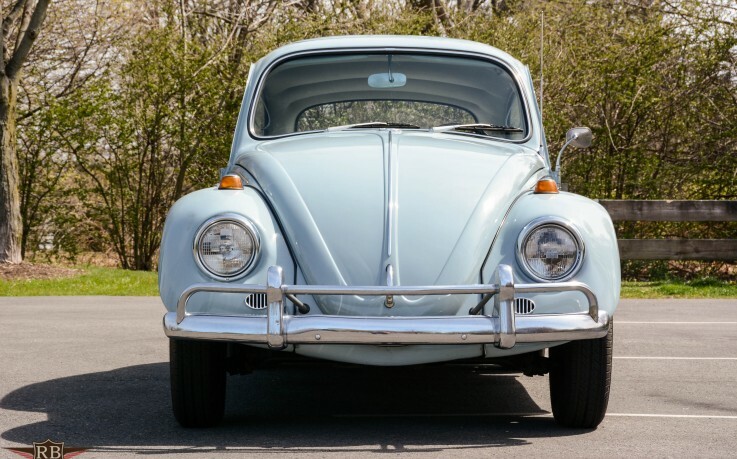 It has been on eBay twice now (I search/follow ’67 Bugs), but they were asking less before and raised the asking price. I’m very curious what the final sale price will be. I see it has been relisted again on eBay. Eric & Amanda you and the 67′ community have made us all experts by default! I vividly remember having NO access to information like your site in 1990 (when I purchased my first 67′ Beetle). I had no knowledge at all regarding the one year parts, BUT I did know it was a one year model. As information abounds, so do expectations….we all thank you for that privilege E & A and Jay!! I think Jay and I both really have to give credit to the community. If people were not out there hungry for this content, I’d be writing articles in silence. I truly had no idea years ago that people cared so much about these special cars. Who knew! Thank you. I’m blessed to be a part of it. And Jay’s comment about the cost.. Yes, and I don’t think people even realize that. Hosting, my time invested. 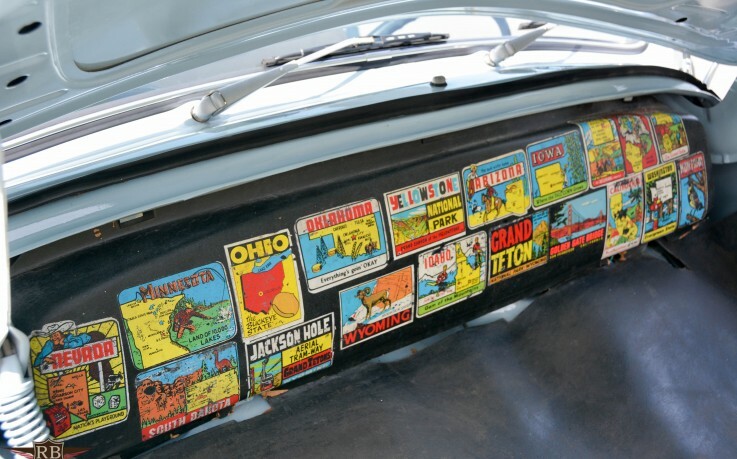 We do offer classified ads that help offset the cost. We do it because we love it, and would never ask for anything in return other than you read and enjoy. Eric & Amanda your financial prayers will be answered when you go….PUBLIC. I look forward to your IPO and intend to invest without reservation. Like our lovable Beetles and pets, stock prices are all about emotions…You will be rewarded beyond your wildest expectations! Are those stock front fenders? Horn grill locations. At least they both match.